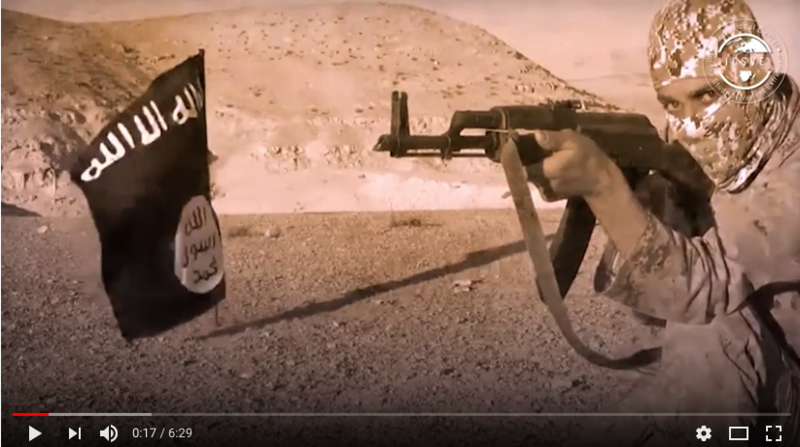 My Journey Towards Jihad is the 19th counter narrative video clip in the ICSVE Breaking the ISIS Brand series. It features Abu Albani, a Kosovar foreign fighter who went twice to Syria; first to join and fight with the Free Syrian Army and later to join and fight for ISIS. Abu Albani was interviewed in Kosovo prison in June 2016 by Anne Speckhard, with Haris Fazilu serving as a translator and was produced by Zack Baddorf and ICSVE staff. Abu Albani’s motivations for traveling to Syria for the first time were similar to many among the​ 850 young men and women who left from the Western Balkans, with many of them having experienced war in their own homeland. He had witnessed the horrors of war firsthand as a young boy, and also remembered that Americans had come to their rescue, which left him with a sense of responsibility towards others suffering under war. Watching videos of Assad’s atrocities and hearing about the call for foreign fighters to come and assist Sunni Arabs, Abu Albani heeded it—probably out of truly idealistic motives. Returned to Kosovo after some time fighting in Syria, he ended on a terrorism watch list and had to talk his way past Kosovar border guards when he decided to once again travel to Syria—the second time to join ISIS and assist in building of their so-called Caliphate. Abu Albani understood he could play an important role within the Albanian leadership already there. Once in ISIS, he fought on a daily basis, including fighting against the Shaitat tribe in a battle. Abu Albani is proud of his time in ISIS, but also admitted he became disillusioned as he saw how the Albanian widows in his group were being forced by ISIS-mandated laws to either suffer isolated at home without food and basic needs or agree to remarry other fighters. Abu Albani also became highly distressed by the plight of an eight-year-old child who was the same age he’d been during the Kosovo war and who had been brought by his father to Syria without his mother’s knowledge or permission. According to Abu Albani, he argued with ISIS leaders about these issues, and unable to get them to enact justice, as he believed it should occur, he defected from ISIS by paying a smuggler to take him out across the Turkish border. Perhaps to ensure his own freedom back in Kosovo, or out of truly humanitarian motives, Abu Albani brought the boy out with his wife as they escaped ISIS. While Abu Albani risked everything to defect from a group he became disillusioned with due to their mistreatment of women and children, as he claimed, he became angered after being convicted and put in prison in Kosovo for participating in a terrorist group. Unsure if he made the right decision to leave—given his current prison sentence—he remains ambivalent on that score. But as he states, he doesn’t regret rescuing the boy, who most likely in his mind represents his younger self. 0:08 and jihad to create an Islamic state to set up a hariah land guided by Allah’s words. 0:22 the first hatred towards Assad started in our mosques here in Kosovo. 0:36 against Assad and other dictators. 0:39 That’s how it all started. 0:41 Facebook was the primary source of videos for me. 0:48 Even though I didn’t understand the Arabic language at the time. 0:50 I understood nothing actually. 0:57 a desire to fight. 1:01 Abu Albani connected with people on Facebook who helped explain how he could join the fight in Syria. 1:10 [Before] I believed in traditional Islam and practiced Islam like all others. 1:36 and [watched] the videos of Albanians in Syria that emerged. 1:39 [They said] the people of Syria need other Muslims to come help them to achieve Allah’s will. 1:47 This was when my journey towards jihad started. 1:55 They took us to a training camp to complete exercises/training. 1:59 Then they taught us how to use weapons and gave us religious training. 2:06 Glory be to Allah, [the Syrian forces] would usually attack us with rockets. 2:10 We would see them at night as they would light up the whole sky. 2:16 They would attack with heavier weapons. 2:18 So, we would have to find shelters to hide. 2:27 When I returned to Kosovo, I tried staying away from jihad-related matters. 2:33 I wanted to get back to my life I had prior to Syria, but I couldn’t. 2:38 Abu Albani says ISIS propaganda on the Internet changed his mind. 2:42 ISIS had just separated from al-Nusra. 2:43 When ISIS established their Islamic State my aspirations and desire to join them only grew stronger. 2:50 Abu Albani travelled again to Syria, despite being on a terrorist watch list and having to deceive suspicious Kosovar border officials. This time, his wife joined him. 2:56 Once inside ISIS territory, Abu Albani was immediately sent to fight. 2:59 It’s a good feeling when you have a weapon. 3:06 and that you can defend yourself and attack others. 3:08 And, as long as you have a weapon, people will be afraid of approaching you. 3:21 we established the Caliphate and since then we were on the offensive. 3:28 There are casualties in war. 3:31 There, we lost over 200 friends, soldiers of ISIS. 3:37 I saw my Albanian brothers fall to the ground and die. 3:44 I was wounded there by the Shaitat tribe. 3:54 Here, now I cannot move my thumb because of the bullet. 4:01 Eventually, Abu Albani started to grow disillusioned and weary of ISIS rule. 4:07 It’s not like I don’t care about justice. I am someone who wants justice. 4:14 I couldn’t even agree with my sheiks, my commanders. 4:28 were not being taken care of much. 4:32 Abu Albani says some women were forced to remarry to meet their needs like food and healthcare. 4:42 due to their laws, to buy groceries for herself or her kids. 4:46 So she has no other choice but to remarry. 4:50 So that someone can take care of them. 4:51 They have difficult lives and that’s why they remarry. 4:57 They wouldn’t allow sick women to go to a hospital by themselves. 5:02 It was far away, like 50-100 km. 5:07 They wouldn’t take them to a hospital. They didn’t take care of them. 5:11 Abu Albani claims that he decided to leave ISIS with his wife and return an 8-year-old Kosovar child back to his mother. 5:20 Ardian was abandoned and was being mistreated by ISIS cadres. 5:25 Abu Albani claims he paid smugglers $3,000 to get them out — money gained from his time in ISIS. 5:29 We never had to worry about money. 5:32 To be honest, I was scared a bit, because I was in danger. 5:36 ISIS has a strong presence along the border crossing. 5:42 Several months after returning to Kosovo, Abu Albani was arrested by the Kosovo police counter-terrorism unit. 5:53 to search for evidence. 5:57 Abu Albani ended up in prison sentenced to 5 years in prison for organizing and participating in a terrorist organization and possession of illegal weapons. 6:01 His sentence was later reduced to 3,5 years. 6:04 Given his prison sentence, Abu Albani remains ambivalent about leaving ISIS and his time serving them. 6:09 However, I don’t regret my decision about bringing the child back. Praise be to Allah.